Summer is outdoor movie season and Lansdowne Centre is presenting a free drive-in movie series in their parking lot this July and August. 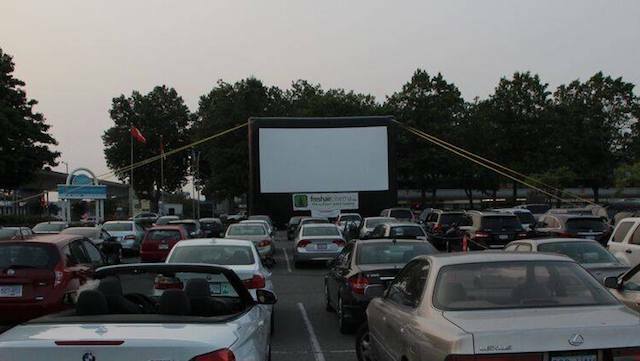 The lot on the corner of Alderbridge Way and No 3 Road will be transformed into a drive-in movie theatre from July 4 to August 29, 2018. All shows are free and gates open at 6:00pm each evening, first come first served. The movies will start at dusk each night. Walk-ins with lawn chairs are also welcome. The lot is easy to get to from the Lansdowne Canada Line so cars are no required for this drive-in event! Follow Outdoor Movies BC on Facebook for more information about free outdoor movies across the province this season.